Most Mac users should upgrade to the all-new Mojave macOS because its stable, powerful, and free. Apple’s macOS 10.14 Mojave is available now, and after months of using it, I think most Mac users should upgrade if they can. Mojave is an incredibly stable OS. It’s fast and mostly familiar — you should be flying through your tasks within a few minutes of installation. I’ve been lucky enough to have used Mojave for months. I have been using it on my Mac for all my work. I’ve encountered very few bugs — some third-party apps were a little unstable at the beginning of the test period, but it has been a long time since I encountered anything particularly egregious. I’ve been impressed at how the OS seems so much speedier in use. It seems quite clear that Apple’s focus on making existing features work better across its platforms is an investment that benefits us all. This is a good upgrade and (assuming no unexpected disasters), I see no reaon not to install it. I’ve looked at each one of the new features in a little more depth below. I’ve also provided a little help to get you started using those new features on your upgraded Mac. Not every feature made it into this review. Take a look at 10 macOS 10.14 Mojave secrets for more of these. Don’t just rush into the upgrade; always back up your system first. Once you do upgrade, make sure to visit the App Store to upgrade your applications. You may see some short-term sluggishness while the OS moves into your system, this is normal and usually passes quickly — see it as the hardware/software equivalent of rearranging furniture and unpacking the boxes when you move house. Some readers may want to read my enterprise guide to upgrading to macOS Mojave here. Overall impression: Dark Mode looks great. I have to confess that I take childish delight in switching between modes just to see the effect — I find it a remarkably effective way of ensuring I continue to miss important deadlines. There was cheering, too, when Apple introduced Stacks. Stacks will automatically collect files into groups based on file type, like images, presentations, PDFs and text documents. You can also choose to organize your stacks by date or by tags. I’m an immediate convert to this feature because it makes it so much easier to maintain a tidy Desktop. If you use tags (and you really, really should), Mojave is even more powerful, as it’s so incredibly easy to create items for use across multiple projects, each of which can be found by project tag directly from your Desktop. To open a stack, just click it and its files spread out neatly on the desktop. You can also scrub through Stacks to flip through thumbnails of the files inside. On the trackpad, use two fingers to scrub or swipe through thumbnails of files in a stack. On the mouse, use one finger. You can double-click to open a file, or drag it directly into an app or document. What does this mean? It means getting to the file you need is as easy as swiping out with four fingers on the trackpad and a tap or two on the relevant Stack. Overall impression: I’m finding Stacks to be a great way to work. It is so much easier than leaving files festooned fiercely across your Desktop. My only real problem is that Stacks makes me less likely to tidy the contents of my Desktop, which means my iCloud storage slowly gets eaten up. You must remain disciplined in terms of tidying up stuff you don’t need. 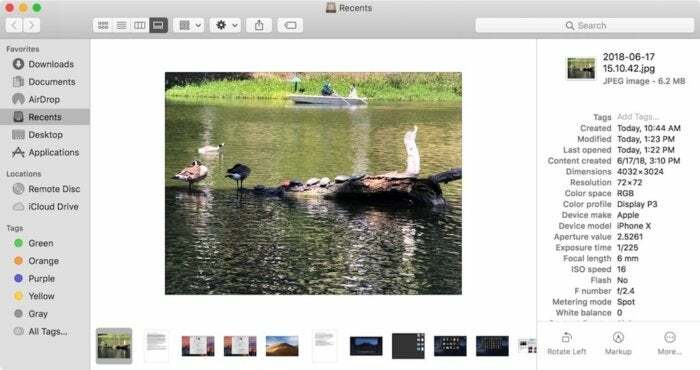 With an eye to a more visual Mac user experience, there are three key Finder enhancements: Gallery View, Quick Actions, and the new Preview Pane. The revamped Finder and its Preview Pane (Command-Shift-P), lets you take a look at all the metadata for files and it lets you rotate images, combine files into a PDF, trim video, and more with no need to open an application. The Preview Pane (Command-Shift-P), lets you take a look at all the metadata for files and lets you to edit them directly in Finder. It also unlocks what for me are the gold dust in the new Finder: Quick Actions. These are fantastic, as you can build your own such actions in Automator and then have them easily available and usable in a couple of clicks — right from the Finder. This is great when you want to resize images to specific settings, scale them to a different size, or any other task you can create an Automator action for. Overall impression: For me, the Quick Actions features are becoming the most useful, particularly as I work with Automator to build actions that are more relevant to my workflow. I find I don’t spend a great deal of time using Gallery View (I tend to live inside Column View), but I do now switch to it to get simple image editing and document mark-up done — though I would like image metadata to be editable from within this view. 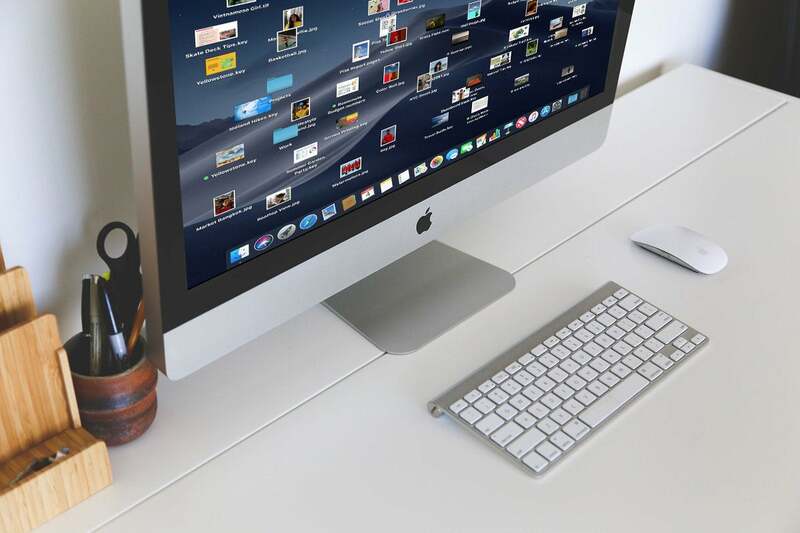 Apple has changed the way you take Screenshots on your Mac. This now operates in similar fashion to the manner of screenshots on iPad. While all your existing screenshot shortcuts work, Mojave adds a powerful new screen capture shortcut: ⌘+⇧+5. When you use this, you’ll be able to decide what kind of image to take (full screen, app window, video etc) and where you want the screenshot saved to. It’s going to help most of us get work done a little faster, and the addition of what used to be QuickTime’s video screen capture should make it much easier to share instructions and problems with other Mac users. You will no longer be distracted by floating thumbnails, though you can re-enable them whenever you wish. If you keep digitized expense receipts, receive a paper document you must sign but can return digitally, or just want to scan an image or something else — or grab a picture to use in a report, Continuity Camera is your friend. It means you can use your iPhone or iPad to shoot or scan something, and you’ll immediately be able to use it on your Mac. To use this, just use the context menu (right click) in an Apple application (including Finder, Mail, Messages, Notes, Pages, Keynote, and Numbers,) and you’ll see a new Take a Photo or Scan Document option. Select this, and you’ll see all your active iOS devices that are logged into the same Apple ID. Choose the one you want to use, ask it to take a photo or scan and then follow the instructions on your iOS device screen. When you are done you will see the scan/photo pasted exactly where you want it on your Mac. Overall impressions: This just works. While it puts entry-level scanners out of business, it’s an absolute gift to any pro user who needs a quick and easy way to acquire and deploy an image. The redesigned App Store in macOS Mojave. Apple’s decision to introduce Mac versions of iOS apps News, Stocks, Home and Voice Memos should be seen for what it is: a desideratum that the company wants to unleash innovation on its platform by making it easy for developers to create Mac versions of mobile apps. Apple says it will introduce APIs third-party developers can use to port their apps to the Mac in 2019. It also supports elements of the iOS UIKit framework on the Mac. I’ve used all four of these new apps. What I liked about them is that Apple didn’t just port them across; it also made some small but logical changes to the apps to make them more effective and useful on the Mac. News is particularly good to use on the Mac, but the inclusion of financial news within Stocks actually makes that app a little more interesting for those of us who don’t keep shares. 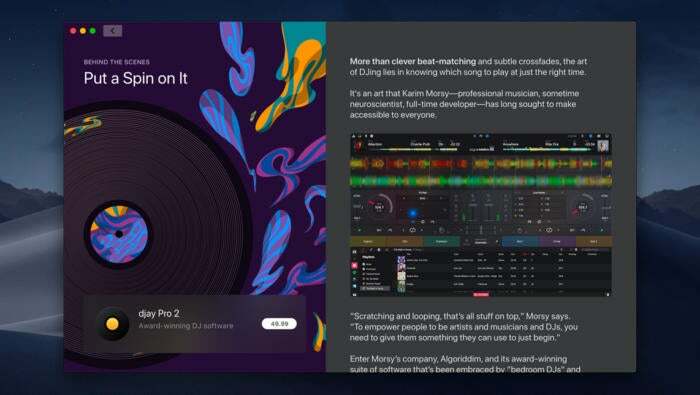 Overall impressions: Developers should look at Apple’s key lesson in these apps — they not ony do what they do on an iOS device, but these apps show that Apple is also thinking about how to contextualize iOS apps for use on the Mac platform. Home offers more unified instructions for HomePod support, for example, while News is highly visual. 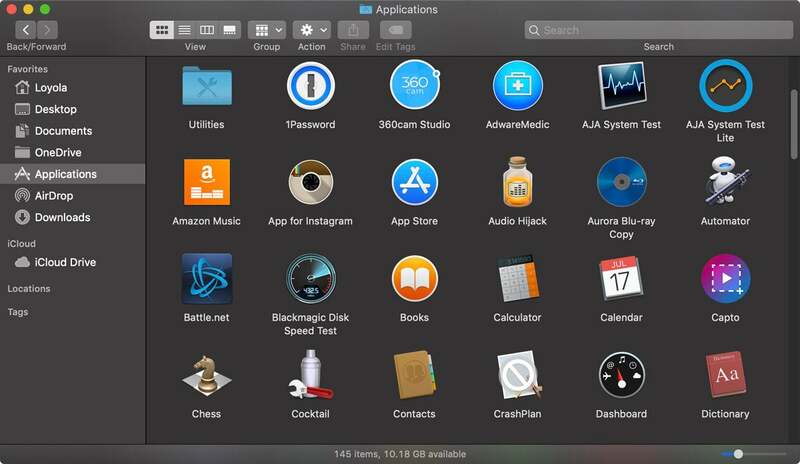 Enterprise developers should be excited because Marzipan may make it easier to create enterprise-specific apps to run on PCs (Macs) and mobile devices. macOS Mojave brings you a completely redesigned Mac App Store, and you will be visiting it for application updates after you upgrade. The company has given it a big image facelift, adding interesting curated content designed to make app discovery more engaging. That’s great for reputable developers, who can hope to win a mention in an app round-up. It’s also good for users, who I hope can rely on those human creators to spot copycat or second-rate apps, and get them evicted from the store. New app tabs for Create, Work, Play, and Develop highlight new app suggestions curated by those editors, and I admit that the App Store looks particularly nice when you explore in in Dark Mode. Overall impressions: It’s good that Apple has given the store a bit of a face lift — it needed to do so. With tens of thousands of apps available, developers desperately wanted to make good software easier to find. Another problem is that people are becoming less engaged with the deluge of apps, downloading fewer of them, spending less, and losing interest more quickly than before. We’ve moved from the frontier age of app exploration into a slower moving age in which the very best developers focus on what users need and try very hard to deliver that to them. App engagement is the rule of that game, and communication is critical to that. The revamped App Store is all about opening that communication up. There are so many other smaller features in Mojave. As I’ve written before, security has seen significant improvement, and you really have no excuse to use weak or repeated passwords. Accessibility improvements aren’t hard to find in the system, while privacy, security, and user consent features mean the company’s platform continues to be the most secure you’ll find (though no one should ever be complacent, and the worst tech attack anyone can suffer is the one that’s never happened before). Those security features include one which prevents rogue marketing firms from using details about your Mac to track where you go online (‘fingerprinting’) and more transparent control of things like applications demanding access to your camera. You can also ask Siri to find and show you passwords for specific sites and services, and explore another iOS-derived feature — easy access to your most recently used apps from the Dock. Overall impressions: The little things really do count. When you kick Mojave around, you’ll soon find it integrates lots of neat little improvements, like favicons in Safari and more. And that’s the point, really — Apple does tend to focus on particular buzz lines when marketing itself, but when you look a little more closely, you’ll usually find it has gone much further — and worked much harder — than it claims on the can. If there is one regret its the lack of social network integration, which will make it a little harder to share items with others. I think it is highly significant that when it comes to the Mojave upgrade, Apple has managed to ensure Jamf and Parallels software (among others) are completely compatible from day one.